Google Street View isn't only for avoiding getting lost. It can be applied to many things, like disaster response. A few years ago the team at CrowdOptics tested the use of images posted to social media to help support smarter disaster response. The idea was that the crowd are likely to be better equipped to provide this information than official bodies. A team from the University of Southampton utilized another stalwart of the Internet age to try and improve things still further. 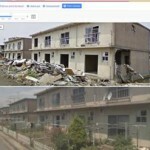 They deployed the Google Street View car to take before and after images of disaster zones to help officials better understand the damge done to buildings, and to also aid building professionals in constructing buildings that are better able to withstand natural disasters. The study was part of the Japanese Memories For The Future project that emerged around the terrible earthquake that hit the country in 2011. Alongside traditional field team investigations, the team utilized Google Street View cars to capture images of the major cities and coastal areas over a six month period. 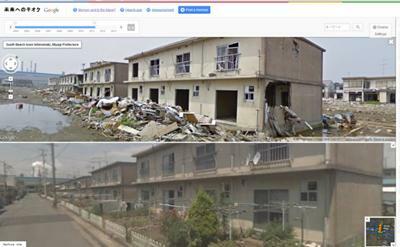 The images, which were captured four months after the tsunami, were then compared with pre-disaster images to allow a comparison of how things looked before and after. The ‘after’ images were used to better understand the structure of some of the buildings that remained standing. These were logged alongside their location and the scale of damage suffered. When the data was analyzed, it emerged that the images collated by Street View was comparable with that generated by official analysis. “We found that much of what is observable in the field is also visible in the online archive. The Google Street View cars created a new resource for remote assessment of structural performance, quantitatively by type and location and qualitatively for beneficial design features, such as sheltering by trees and other buildings,” the researchers say. “Although such online images cannot completely replace field surveys, they have the potential to exploit an untapped resource of researchers around the world, who can then collaborate with local engineers to learn lessons and improve tsunami resistance of vulnerable coastal communities,” they continue. It’s certainly an interesting approach, and it will be fascinating to see if it gains any traction in the disaster community. You can learn more about the project via the video below.